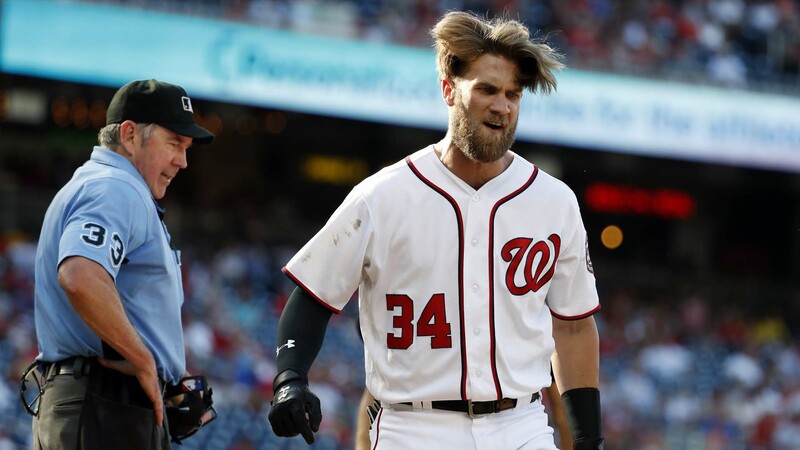 The Giants did not convince Bryce Harper to come to San Francisco, but it wasn't because of a lack of effort. Wright for Boston suspended 80 games for PED. Says he has no idea how it got in his body. Blokes a moron, was up for domestic abuse in 2017. I Hope we cut him. 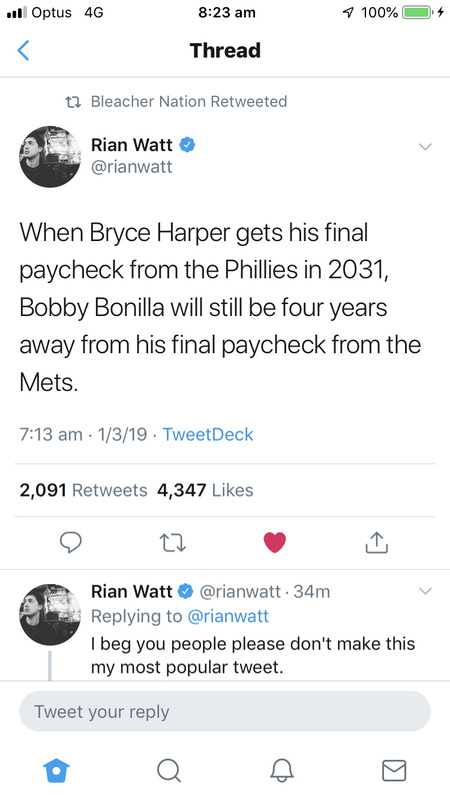 Is this really a Yankees, Man Utd and Lakers fan complaining about insane money recruiting in sport? To be fair, he’s an Oakland A’s fan, not Yankees. Ichiro retiring after tonight’s game. Probably up for his last AB right now, with a 1-run lead, no outs and a man on 2nd. Im thankful for the MLB season. Go Red Sox. Best part of the Giants 2019 season? The MASSIVE brand new video screen at the ballpark. *the exact amount I expect my Giants to hit… all season. Cy Young winner Jacob deGrom celebrates his 5 year contract extension with his 30th consecutive game of 3 runs or fewer, a new Major League record. And against Scherzer, no less. No runs in 6 innings and this time the bullpen didn’t cave, which is a wonder in itself. And to think they were considering selling our best asset. Would have torn down Citi Field and rightly so. I’ll enjoy the moment knowing we’ll still manage to stink sooner rather than later. Harper’s first game back in DC copping the expected boos. Scherzer got him in the first 2 PA’s, but doubled in his third up. Phils up 2-0 top 5, 2 outs, runners on second and third. Edit… Harper now has a double, an RBI single and a 2-run homer for them to lead 8-2. Segura broke it open off Scherzer with a bases-clearing double. Chapman blew a 9th inning tie with 2 runs to lose 3-1 to the Tigers. Ex-Braves superstar, Dustin Peterson, got the big hit (Peterson never actually had a hit with Atlanta).